We have gathered themes for different purposes. Some of them are multipurpose themes that anyone can select them. Some are for cryptocurrency theme as this business is growing up very fast and every investment company is willing to create is good website to attract people to their business. Here most of the themes are very popular and well rated. All of them are SEO optimized. All of them contains the most powerful page butlers at the present time. Big advantages of the themes have shown up in this post. Uniset is a multipurpose theme for creating websites which highly customizable, stylish and easy to use. The theme is powered by twitter bootstrap 4.0. Advanced theme option is also included with the theme. 9 ready home pages are available on the theme. One click demo installing system has made it easier and saves a lot of time. A child theme is also included with this theme. The theme is SEO optimized. There is 675+ font awesome icons. Also, there is unlimited preset color. So the users can arrange their website like their wish. Also, 50+ shortcodes and 14 home demos are there in this theme. Mobile is now a great medium for browsing. This theme is well designed for all kinds of platform. Some premium plugins are provided for free also by the theme. So Uniset can be one of the best choices for everyone. 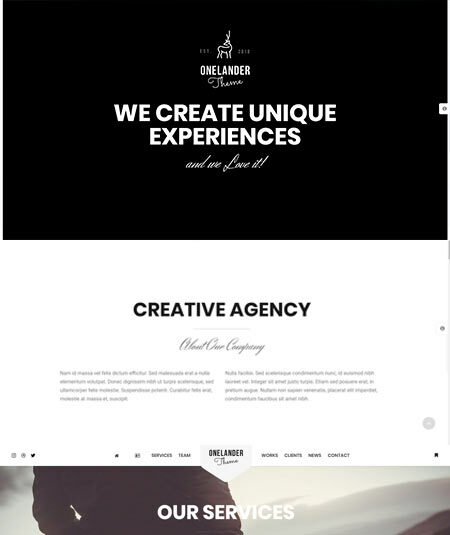 OneLander is a unique WordPress themes with landing page for the creative to arrange their websites with latest works. The theme has the video background features and also SEO optimized. Free updates are provided by OneLander. There are 300+ options there one can get lots of chance to decorate his/her website. The theme also supports GIF and videos. So undoubtedly the theme is very attractive one. Now a website is no website if it doesn’t work on all platform. So the theme is built having the system fully responsive and retina ready. Mega menu option also makes it more comfortable for the users. 300+ vector icons and 600+ google fonts can make anyone well satisfied. OneLander works very fast and it’s very easy to customize. They have a very good supporting team who are always ready to help you. So undoubtedly OneLander is one if the coolest theme for multipurpose. the cryptocurrency and ico landing websites. 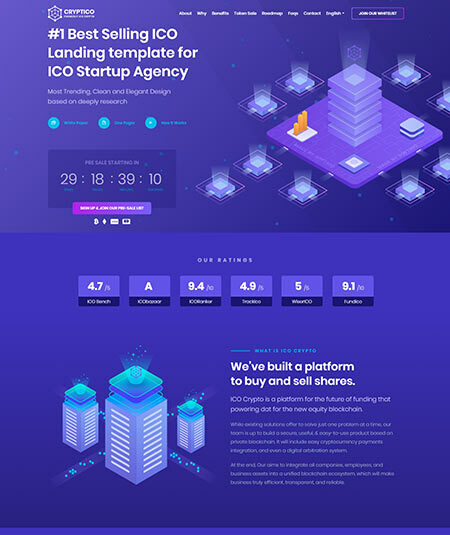 They have 4 ico landing pages in this WordPress landing page theme. The cryptocurrency business requires some good features. WPML, contact from 7, ready blog, price table etc. Most important features are included to the theme that the users can use this theme smoothly. There are 20 animated and creative pages. Also one-click installation system has made this theme easier and saves a good time. Overall the theme is very fast. No lagging or loading harasses the visitors or the user. Automatic cryptocurrency price converter is a big advantage of using the theme. A reliable 24/7 support is also provided by the theme. 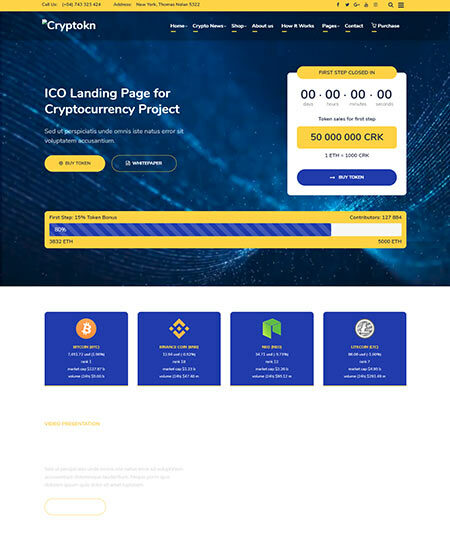 So overall crypterium is one of the best landing pages templates for the cryptocurrency. 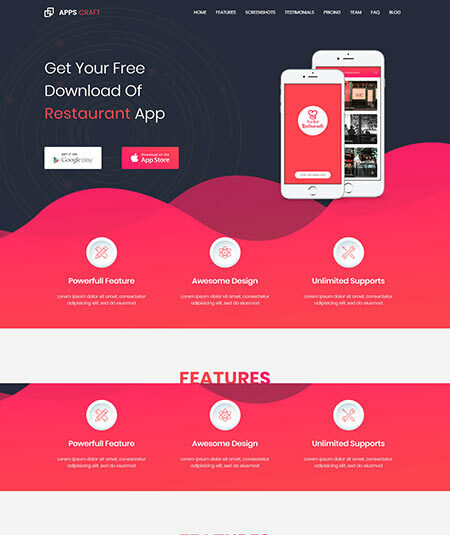 Apps Craft is one of the best wordpress landing page theme for multipurpose. The theme is suitable for business, agency, events and for others. 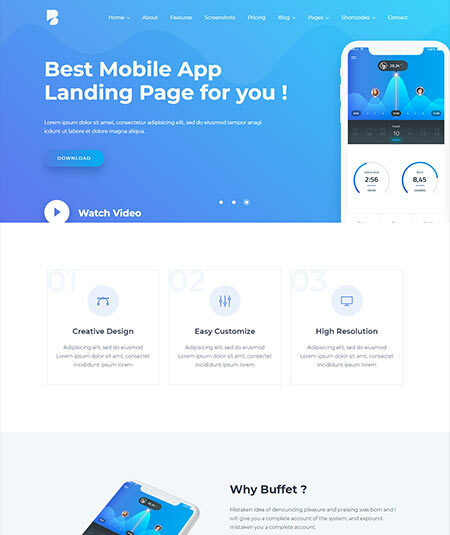 This one of the best landing pages templates gives a lot of advantages to the users. 10+ high quality variations are available with one click demo installing system. You just need to do a single click to set up everything. Besides the theme is very fast optimized. Also there is an awesome pricing table. Most of the popular features and plugins are provided by the theme. Visual page builder, two colors, WPML, visual builder contact form etc. most wanted features are available in this theme. So the theme is very easy to customize. The theme is fully suitable for all kind of devices. Besides most of the popular browsers supports the website of the theme. A very friendly service are being given by the theme. So choose app craft theme and make the best website. 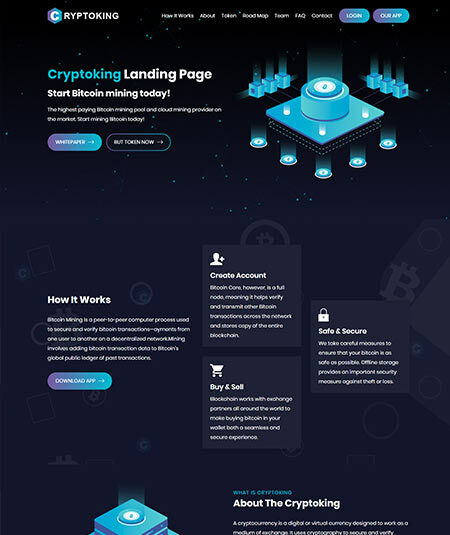 Cryptoking is a very profitable WordPress landing page theme specially ico and cryptocurrency. Having a lot of great options this theme is now one of the most popular themes. With 6 landing pages the theme give a lot of advantages to the users. With having a lots of colors it let the users decorate their theme as their wish. The theme is based on bootstrap 4. Also supports animations. Knowing coding knowledge is not so common in people. The landing page examples wordpress theme is designed in this way that you don’t need to know any knowledge about coding. So the theme is very easy to customize. A website is always great when that supports on all platforms. As cryptoking is fully responsive with retina ready, users have no tension about displays and screens. Over all having a good supporting team cryptoking is a very useful theme for cryptocurrency. 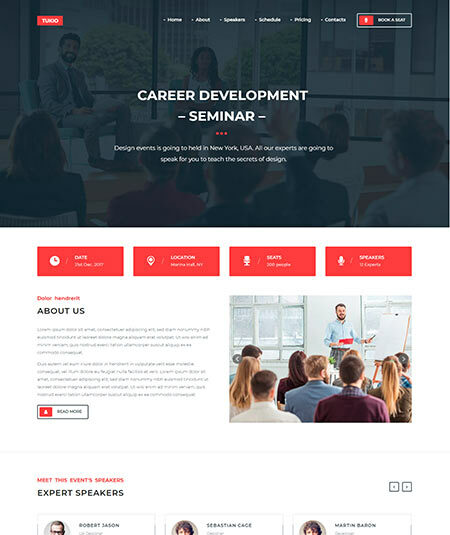 Anyone looking for a wordpress theme about to make a website for event or conferences? Tukio comes for you which is the best wordpress landing page theme. The theme is very well designed. After giving a lot of advantages the theme ensures the users the future update and updating is for free. The theme is built with bootstrap 3. The theme is very fast and saves a lot of time of the users. One click demo installing system is also very useful for the users. Just imagine that you need to do just a single click to install everything. And it takes a very short period of time to be installed. The theme contains more than 100 icons. The theme is also supported to all kind of platforms so you have no worries about the visitor are coming from. A friendly supporting theme is also available with two different languages. So get this landing page examples wordpress theme for any event and conference. 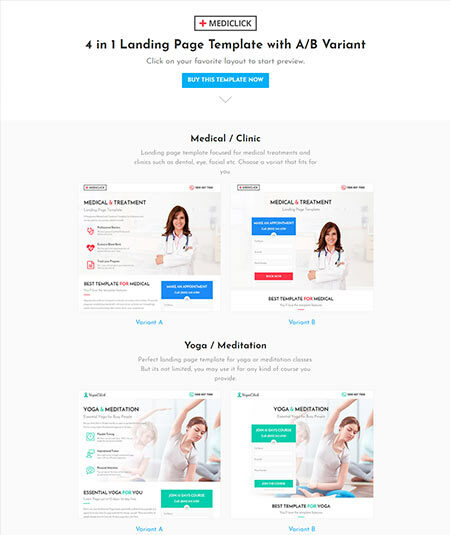 Mediclick is a stunning wordpress theme for multipurpose especially for medical, spa, Yoga and fitness. Mediclick has 4 home pages designed for the users. So it’s an attractive theme for everyone. Now at present its very important about a website that the performance of the site in different platforms. Mediclick is fully responsive and retina ready. So in all sorts of devices the theme can perform perfectly. Page builder is a big fact of a theme. Mediclick has used one of most powerful page builder visual composer and that is for free. The theme also contains demo dummy content XML data. Also have responsive layouts. Powered by bootstrap 3.x the theme gives lots of advantages to the users. Features like 404 page, parallax background, contact from 7, unlimited colors have made the theme more classy. So for any motive if you need a website then build it with mediclick. 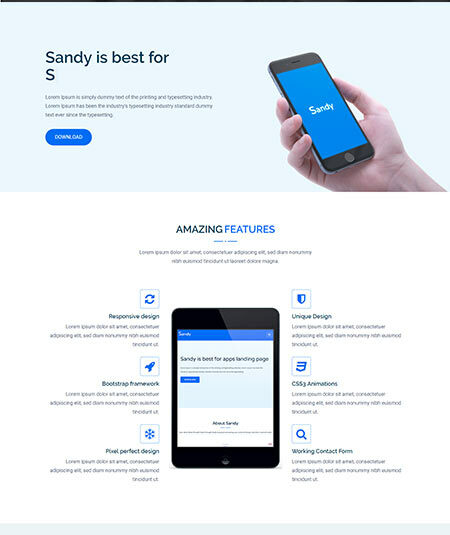 Sandy is one the greatest app landing page wordpress theme which is based on bootstrap. The theme contains D&D page builder which is very powerful and a wanting one. The theme is SEO friendly. Knowing coding isn’t very easy for everyone. Lacking this ability many people can get a good theme. Sandy comes with no coding requirement. Everything is preset. So it’s very easy to customize the theme. There are 2 home pages available on the theme. They are very stylish and easy to set up. People visits your website must appreciate the website. They an extra child theme included with the theme and translation ready. A good number of features has made the theme more attractive. Free and regular updates are given and a friendly supporting team is also there for the users. So get this landing page examples wordpress theme and fulfill your wish. Sheel is one of the smartest wordpress themes with landing page mainly for the agency and businesses. The small businessmen can get the highest benefit using this wordpress theme for their website. Page builder is a considerable fact at the present time. WPBakery page builder is used in the theme. And the theme is highly customizable. The theme has also translation ready feature. The landing page examples wordpress theme can make your website fully clear from any sorts of devices. As this is fully responsive and a retina ready phone it performs very good on all sorts of platform. Based in bootstrap the theme has many important features such as contact from 7, video documentation, mailchimp, light box popup and others. A professional supporting team is also there for the users. 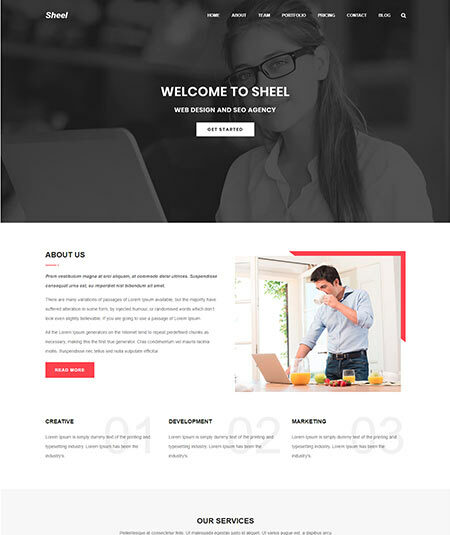 So certainly sheel is a great wordpress theme for short business and personal porfolio. 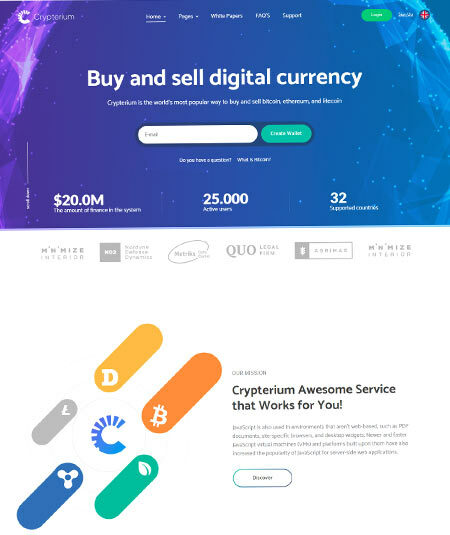 Cryptocurrency Investment Company and ICO agencies can be the best wordpress theme for their website about business is cryptico. The theme is very easy to customize. 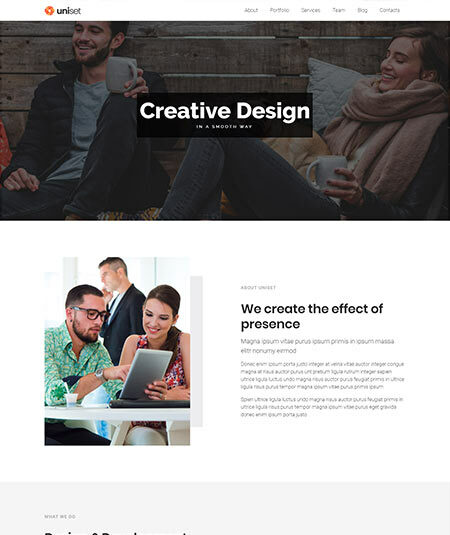 This wordpress landing page theme has 4 landing pages available for the users. Besides the theme supports multi languages. CSS 3 animation and sticky header is also there in the theme. An attractive gallery is a big attraction of a site and this theme has this. Lots of plugins are there in the theme. Some premium plugins are also given for free such as visual composer, D&D builder and others. A dark and a light version is available in the theme. Besides 1 click demo installation system is also a very good advantage and saves lots of time. So this a good solution for cryptocurrency investment company. 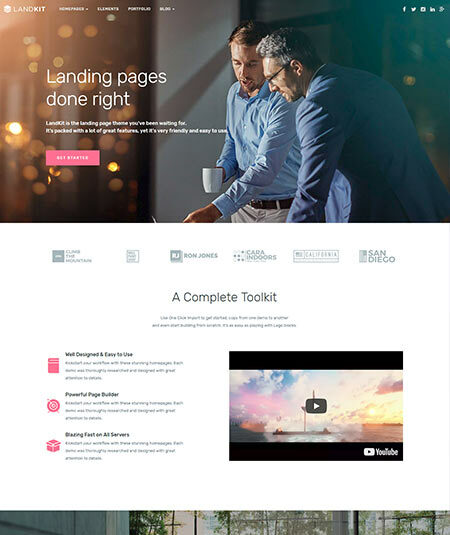 Landkit is a modern wordpress landing page theme which is based on bootstrap. There are 15 stylish homepages in the theme. They are well-decorated and users get all the information about everything. The users can get the advantages of woocommerce feature. They can build their own shop page on the website and start a business selling various products. There are 70+ theme elements. It’s very rare that the theme gives a free trail. Landkit gives a free trail that one can be satisfied with the theme before buying. Hybrid composer page builder is also added to the theme. 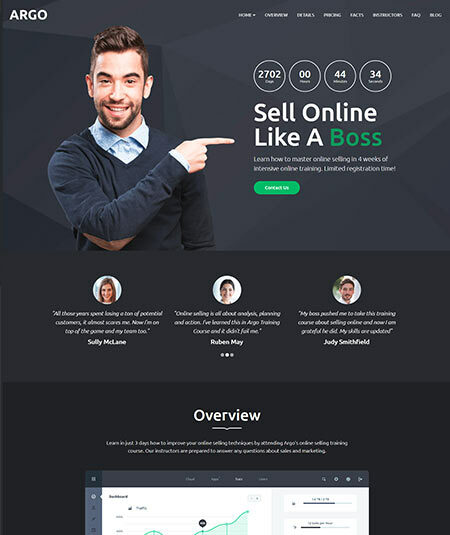 This is one of the best wordpress themes with landing page. The theme is suitable for all kind of platforms. Users visiting from different screens face no problem to browse the theme. So surely this is one of the best landing pages templates. 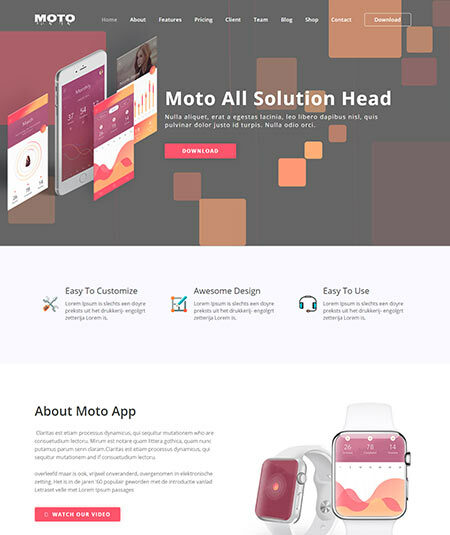 Moto comes with a flexible wordpress landing page theme which is fully responsive and retina ready. The theme is also SEO friendly so users don’t have to worry about anything. Coding knowledge isn’t found in everyone. So most of the people are worried about this. The theme is built with the system that you don’t need any coding knowledge to run the theme. Valid HTML 5 and CSS3 is also included to the theme. This best wordpress landing page theme has a good feature list for the users. Blog page, simple design, unlimited color option, ET-line icon, google fonts etc. features has made the theme more flexible for the users. 40+ kingcomposer addons and 6+ mobile addons are also included to the theme. A reliable and well trained supporting team is always ready to solve the problems of the users. So don’t think a lot to get this wordpress theme Moto. Cryptokn comes with a bitcoin wordpress theme which is a big solution for a cryptocurrency investment company. The theme gives a regular update and the supporting team are really friendly. Users don’t need to know coding knowledge to run the theme. The theme is well designed and formatted like this that will save lots of time of a user. The theme is really fast and very easy to use. For both HD and retina devices the theme looks great. It is designed in a way that it can perform well in sorts of platforms. CSS animation and one click demo installation system is also available on the theme. Also saves the extra expenses of a user. Visual composer ($33), slider revolution ($18), video and background parallax ($12) can be saved using this theme. Besides some good features are also provided by the theme. So get the theme and run your website more smoothly. Argo is the coolest training course worspress landing page theme. At present the best page builder in the market is WPBakery page builder. Argo is built with this popular page builder. With WPBakery page builder the theme has also 20+ custom elements. That means the theme is very easy to customize. Also there is demo content available and translation ready in the theme. Your website will never be a popular one if it isn’t supported to tablet or mobiles. The theme is suitable for all kinds of devices so the users have no worries. Besides it is tensed on all the popular browsers. It works well on every browsers. Many plugins and very useful features are added to the theme. Users can feel very flexible after getting this much advantages. 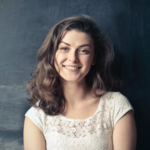 Very friendly and a professional training team is always ready to help you. So argo is undoubtedly a better option for you. At present mobile is a good way to browse anything. So it’s very important to have a website which is suitable for all sorts of platforms. So this theme is fully responsive and retina ready as it needs to perform in all devices. This best wordpress landing page theme has 8 homepages which are really attractive and eye catching. Besides 4 beautiful colors are available that the users can decorate the website as their wishes. The theme is very fast. Valid HTML5 and CSS3 is available. The theme is built with bootstrap. There are also some impressive features such as WPML, RTL support, unlimited footers, essential pages and others. So undoubtedly this is a good choice for having a great website.